A2Z Maintenance & Engineering Services Ltd (BSE: 533292, NSE: A2ZMES) counters in NSE & BSE, on Tuesday, 22nd May 2012, witnessed significant buys by company’s early backer and celebrity investor, Rakesh Jhunjhunwala, and his family. This was disclosed by National Stock Exchange and Bombay Stock Exchange after trading hours on Tuesday. While Jhunjhunwala bought 14.30 lakh shares in NSE at Rs. 100.03 a share, and 5.70 lakh shares in BSE at Rs. 100, wife Rekha Rakesh Jhunjhunwala bought 6.50 lakh shares in BSE at Rs. 100.06 a share. Through the deals, the noted investor and founder of investment firm, Rare Enterprises, has pumped in Rs. 26.51 crore to buy 26.5 lakh shares or a 3.57% stake. Rakesh Jhunjhunwala and family were already the largest non-promoter shareholder group in A2Z Maintenance & Engineering, with a 19.11% stake as of Q4 end. Jhunjhunwala is also a non-promoter Director in A2Z. As per a mandatory disclosure made by Jhunjhunwala on Tuesday, to disclose this deal, he with three other ‘Persons Acting in Concert’ (PACs) together held 19.61% before Tuesday’s deal, which means that they had bought another 0.50% stake since Q4 SHP was published. 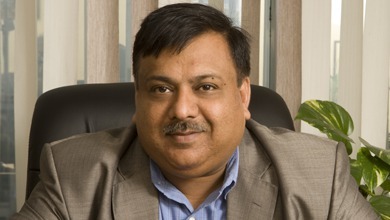 These PACs include Rekha Rajesh Jhunjhunwala, Rajeshkumar Jhunjhunwala, and Sushila Gupta. Interestingly, this group’s stake has now reached a massive 23.19%, which is likely to create a buzz as it is quite near to 25%, a limit at which India’s market regulators require the acquirers to come out with an Open Offer to other investors in the company. On the fundamental side, A2Z Maintenance & Engineering Services Ltd has been facing a tough time in its core businesses that are housed in the standalone company. In FY’12, standalone sales was down by 13.42%, while net profit was down by 77.34%. The company is yet to announce its consolidated numbers. In FY’11, consolidated sales was higher than standalone by 22.27%, while consolidated net profit was down from standalone by nearly 7%, thereby revealing that the subsidiary companies were yet to show a positive turnaround collectively. The standalone A2Z houses activities like Engineering Services & EPC, while the subsidiaries handle businesses like facilities management services (FMS), municipal solid waste management (MSW), and renewable biomass power generation. A2Z which went for its IPO in FY’11 with the backing of early investor Rakesh Jhunjhunwala, had offered it shares to public at a high cost of Rs. 400 a share. Jhunjhunwala too had sold 4% of his shares at this high rate through the IPO. The high IPO valuations of 23 times TTM P/E and 5.5 times P/BV were supposed to hold due to A2Z’s impressive CAGR growth between 2007-10, but soon the performance of the company was hit badly, mainly on poor prospects for its core power distribution EPC business, and ever since then the stock has fallen steadily, eroding its market cap and investor wealth by 75% now. Recently, the stock had marked a new 52-Week Low of Rs. 83.70, and it seems that, it were buys like what Jhunjhunwala disclosed today that were instrumental in shoring it up to at least the Rs. 100 level. On Tuesday, despite the massive buy by this investor, A2Z could barely keep itself in green in NSE, up by only 0.25% at close, while in BSE, it closed down by 0.20%, which reveals that organized selling pressure is still there, even though no identifiable sells above 0.50% were reported. However, the stock may rally briefly in the coming sessions, when the wider market comes to know of the significant accumulation by Jhunjhunwala, whose actions are widely tracked in India, and also due to the beaten down condition of the stock. In another development on Tuesday, company’s Founder, Promoter, and Managing Director, Amit Mittal pledged 5 lakh more shares, making his total pledge at 11.74% of the total equity base. Mittal holds 36.24% stake in his own name, while the total promoter group stake is 44.68%.